The Foreign Secretary Boris Johnson has been criticised for not meeting the husband of a British mother jailed by a secret Iranian court even though she has now been detained for a year. On the eve of the first anniversary of Nazanin Zaghari-Ratcliffe’s arrest, Amnesty International called on the Government to “drastically raise its game” in securing her release. The 38-year-old was arrested last April as she tried to leave Iran with her infant daughter, Gabriella. The dual British-Iranian national, who had been visiting family in Iran, was accused of being a “spy” plotting to “overthrow the Islamic Republic”. She was jailed for five years last September. Representatives from the Foreign and Commonwealth Office, including the minister Tobias Ellwood, have regularly met her husband, Richard Ratcliffe, a 42-year-old accountant from Fleet, Hampshire. But Amnesty said it was “baffling” that Mr Johnson had not met Mr Ratcliffe, nor replied to a letter its director sent him about the case last October. 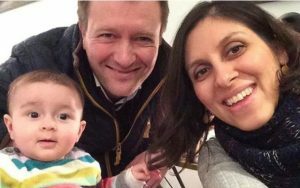 “It’s baffling that the Foreign Secretary still hasn’t had a single meeting with Nazanin’s family who are of course sick with worry about her,” said Kathy Voss of Amnesty International. To mark Monday’s anniversary, Mr Ratcliffe and supporters will gather on Sunday at a park near the family’s home in Hampstead, north-west London. They have been asked to write what they would do with a single day of freedom on a ribbon, hundreds of which will be tied to a tree. Mrs Zaghari-Ratcliffe supplied a message for one of the ribbons. “My fondest dream has always been to arrive at our home, you ask me if I want to have a cup of tea, then make me one. I just sit back and watch you two play,” she wrote. 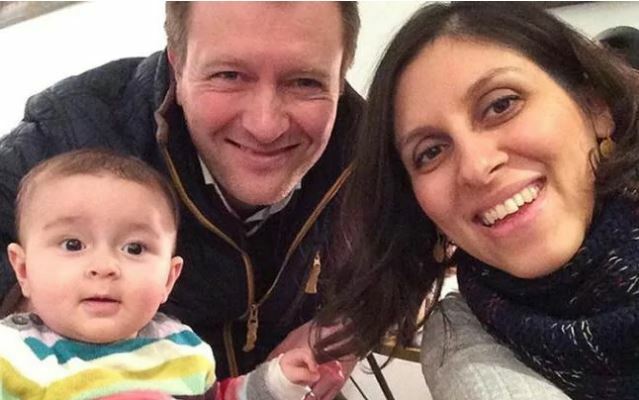 “We continue to raise our strong concerns about all dual British-Iranian prisoners in Iran, including Mrs Zaghari-Ratcliffe, at the highest levels in both London and Tehran,” an FCO spokesman said.